I'm finally back to announce the giveaway winner. 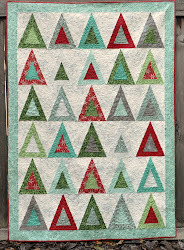 #103, Kelie, is the winner of a copy of Natalia's book, Beginner's Guide to Free-Motion Quilting. Congrats Kelie and thanks to everyone for your comments! 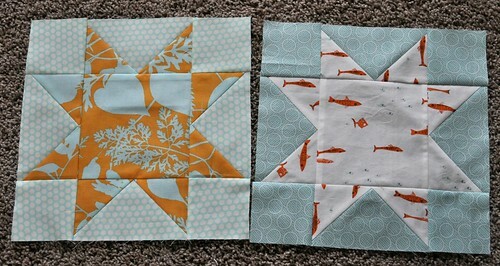 I also wanted to show these star blocks I made over the weekend. I went to the Seattle MQG sew-in on Friday and got them started. It was fun to meet and talk to new people; everyone was so nice. These blocks are 10" square; the previous ones I've made for this project are just 8". I'm not sure how I'm going to put it all together but there will be a few different sizes of stars. Eventually.